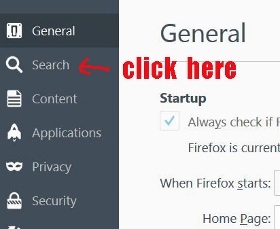 This is a short tutorial on how to change Firefox right click search option of your own choice. 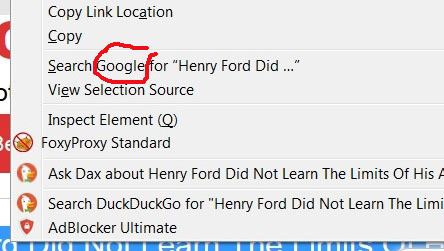 By default, most of us set our Firefox right-click search to Google. 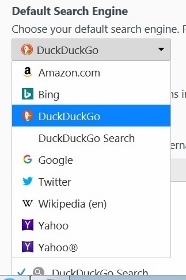 The other day I installed DuckDuckGo add-on to my Firefox. 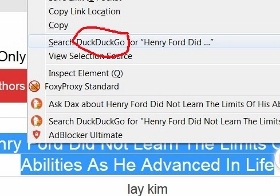 Currently I am still setting it to DuckDuckGo is because I am regularly using the ProxyFoxy. 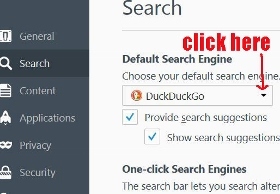 Anyway, for those of you who suddenly find that your Firefox right click search changes to Yahoo, Bing or other search engine. And you want to change it back to Google or any other search engines of your choice. 1. Open you Google, and then click on "Tools" at the top of the screen. 2. A menu drops down. 3. Click on "Options" (see image above). 4. It will open a page as shown below. 5. Click on the "Search" on the left side of the page. 6. It will open another new page. 7. Right under "Default Search Engine", this is where you reset to any search engine of your choice. 9. It will drop down a menu showing you a list of search engines for you to choose. 10. Click on the search engine of your choice. There is no need to click on any "Save" button here. Now when you highlight a text and right click on it. 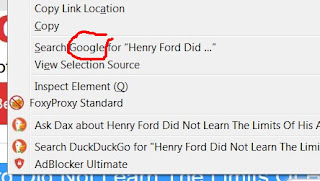 The drop-down menu should show the search engine which you have selected. 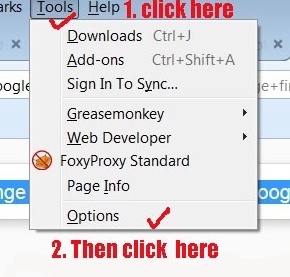 This is how to change Firefox right click search settings guide.